Or so I thought. Despite the fact I’m still what most would consider ‘sporty’, I’m also at the age where the chances of becoming elite at anything are quite frankly, slim. Most international athletes, footballers and certainly pop-stars (another unfulfilled ambition) are at least a decade my junior. However, as 2014 dawned an idea struck me: Surely there’s an activity out there, so niche, that even I could excel? There was. Enter Britain’s smallest town and August’s audacious Monthly Mission. 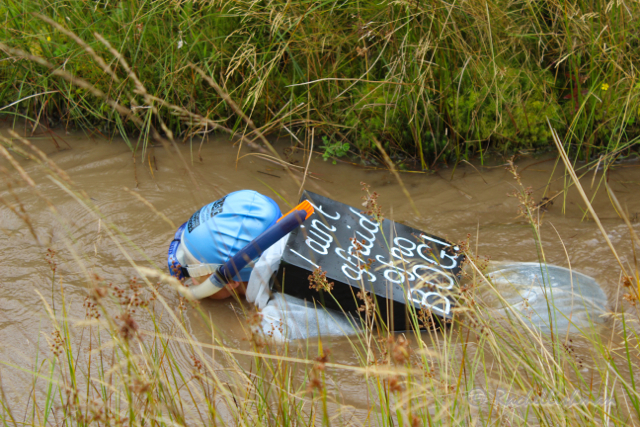 Every year since 1986 in Llanwrtyd Wells a strange phenomenon has taken place: An international medley of fancy-dress-clad competitors loiters in a field to get cold, muddy and extremely wet. Madness isn’t mandatory, but it helps. The event? 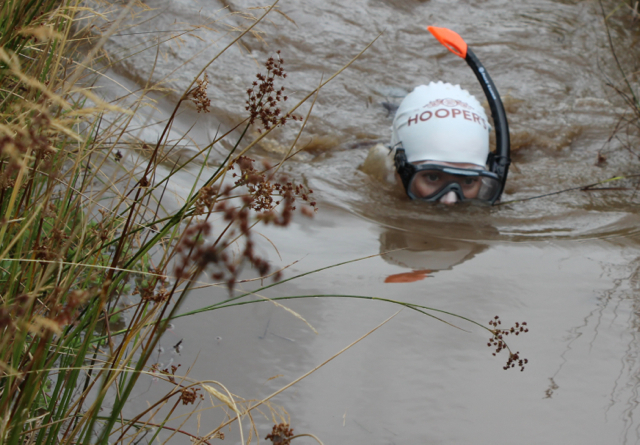 The World Bog Snorkelling Championships. The final preparation, as I’m sure is the case with all elite athletes, was a night out at the local, and only pub. I felt like an extra in ‘Little Britain’ as a marauding mixture of locals and foreigners filled the space underneath a rusty chandelier. The peeling ceiling plaster meant it could drop on the crowds at any time, which only added to the anticipation in the room. I settled on a pint of Boggle Ale – an identical colour to the water I would be paddling through the following day. On a polished board, the names of every previous winner were etched into the wood. Could my name be forever engraved onto the walls of The Newydd Arms? My thoughts were interrupted by the entrance of a stag party dressed as ladies. The locals weren’t fazed. I suppose when your home hosts the World Alternative Games, anything goes. The next morning, despite the Boggle, several pints of cider and a broken sleep on a towel, I felt surprisingly perky. The adrenaline was kicking in. We marched towards the Middle Of Nowhere with an extraordinary sense of purpose. This field held medals and the tantalizing prospect of becoming world champion. 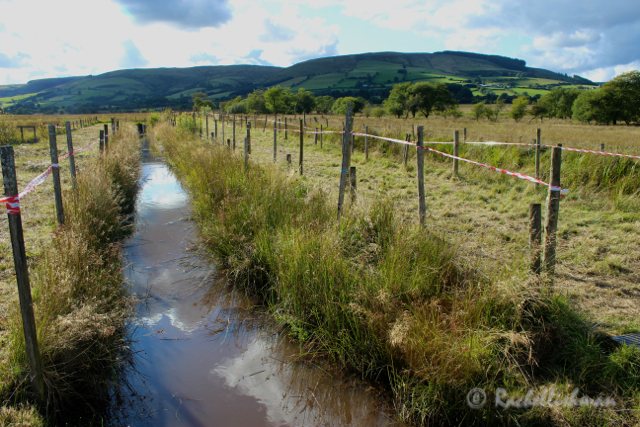 How many pieces of farmland can boast that? The wait was brisk as we prepped our costumes and cheered fellow competitors. The compare, a robust lady with an outfit that would spark jealousy at the Mad Hatters Tea Party, bellowed over a speaker: “Ghostbusters to Bog 1…. we need the Ghostbusters!” Several people in the registration queue asked who she was going to call. Jokes aside, my time trial was looming. The next 2 minutes and roughly 20 seconds were a complete blur. I doggy paddled viciously towards a brown horizon; my snorkel filled; I choked; I glimpsed the crowd. I tapped the post – halfway there! I spun; I gasped for anything other than bog juice; I failed; I heard a cheer; I paddled again; a plastic Ghostbuster gun caught around my neck; I wrestled free. At one point I even recall feeling hot. Then, it was all over and the Press was waiting. Nobody requested an interview or autographs, but it didn’t matter. I’d finished! It’s all about the taking part! Steely determination as I neared the finish! An rather oddly dressed crowd support one of the beavers…! Despite not becoming World Champion, I did get my 15 seconds of fame on Metro and The Guardian’s websites. I really achieved my dream to become a famous sports person! Thanks guys! Have only just seen your comments for some reason. 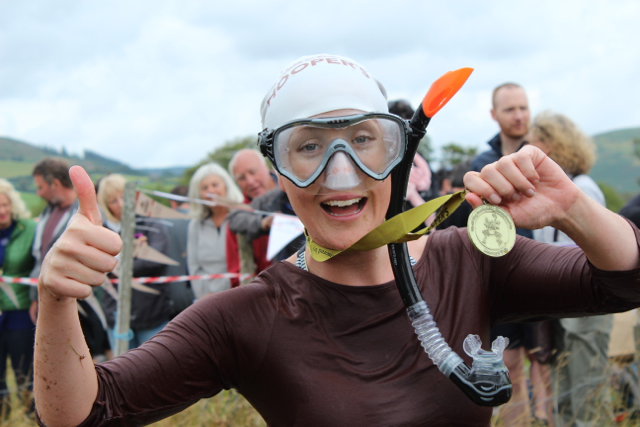 Sue – bog snorkelling was definitely my kind of sport, while I’ve always had a competitive spirit I’m more than happy these days to partake for the sheer hell of it! Haha! I really want to try this… especially after spending so much time ‘hiking’ (slipping sliding and sinking) peat bogs on the Peak District! It was a fantastic (and very wacky!) day out Gemma – I’d recommend it as the perfect weekend away with a group of mates who don’t mind getting dirty!! I didn’t quite make the record books but can honestly say it was one of the weirdest experiences I’ve ever had on all my travels!